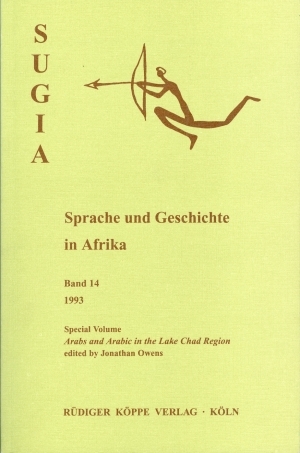 The authors of the six papers in this volume discuss the origin of Arabs and Arabic in the Lake Chad region, taking into account the historical relations between this region and the rest of the Sudanese belt, including upper Egypt, Libya, and the Sudan. There are few studies on this topic, despite the appearance of a number of publications over the last fifteen years. The contributors to the present volume, specialists in their fields, provide an updated bibliography. Moreover, the volume encompasses both historical and linguistic analyses. For all these reasons the volume is stimulating, raises many issues, and is a landmark in the field of sub-Saharan Arabic history and linguistics.